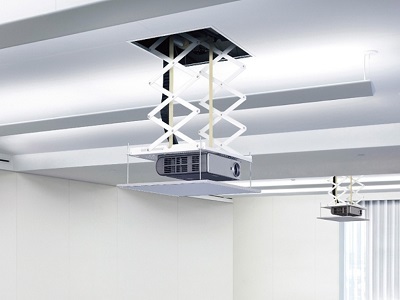 The SAPPL04 is a fantastic budget projector lift designed for smaller projectors and has a maximum lift range of 1000mm compared to a relatively small build in height of 190mm as smaller projectors can be mounted inside the casing. The Lift has many features that are normally only on the more expensive models making installation a breeze. This Lift ideal for installation where space above the ceiling is limited. The Lift comes complete with decor panel and inline switch which can be upgraded to either and IR or RF remote control. 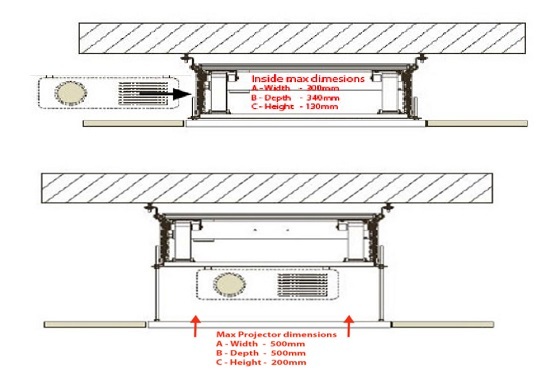 The SAPPL04 is suitable for both suspended and plasterboard ceilings.